Nature's Answer has identified mother nature's unique botanical fingerprint on over 800 plant reference standards utilizing advanced botanical fingerprint technology. Nature’s Answer capsules feature the highest quality of organic, responsibly wildcrafted or cultivated herbs, which maintain the naturally-occurring constituents found in the plant. 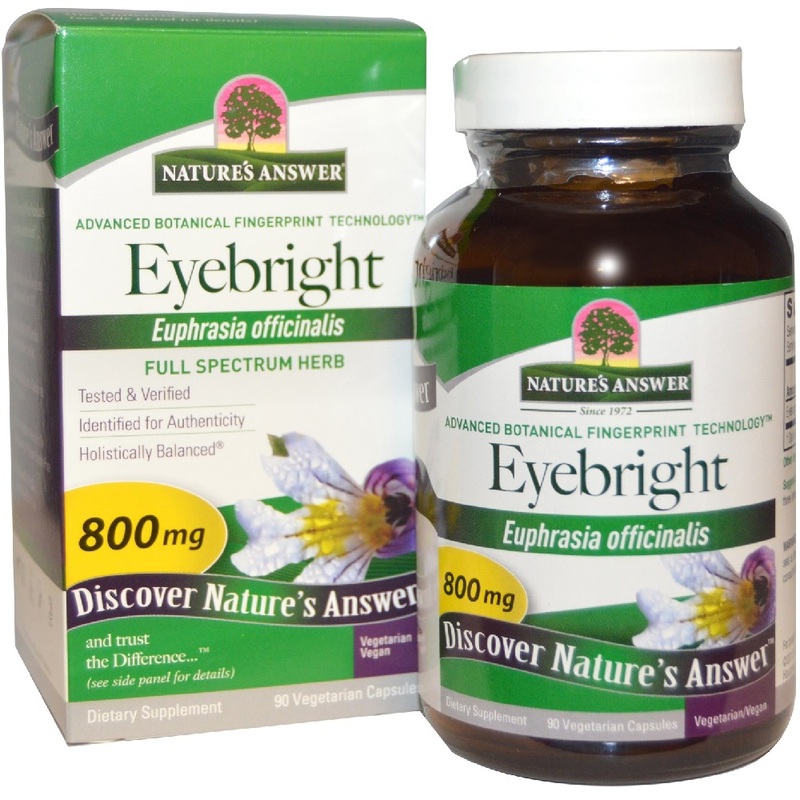 The ocular use of Euphrasia is based upon tradition and it is one of the best-known herb for eye health.